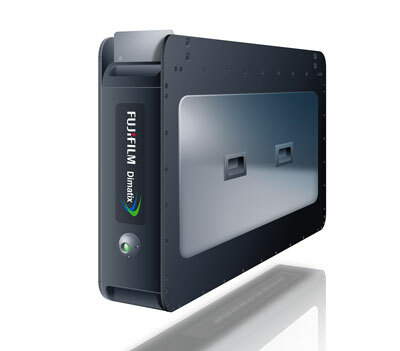 Fujifilm to showcase the new Samba™ 42000 Inkjet Printbar System at Labelexpo Europe 2017, September 25 – 28, in Brussels. Combined with Fujifilm’s renowned Uvijet ink, the Samba 42000 provides imprinting of the highest standard to the label market – adding digital capability to existing flexo presses or offline label customization. In addition to offering print quality levels of up to 1200 DPI – much higher than that of similar competitive systems – the Samba 42000 Inkjet Print bar system also runs at impressive speeds of up to 90 meters per minute, giving flexo printers the opportunity to substantially boost quality and productivity simultaneously. Easily installed on standard flexo press rails, the print bar has a trigger and encoder to track and target the flexo print zone. Once imprinted, media is then brought back in line for typical post processing. Fujifilm’s expertise in both printhead design and ink creation, brought together under the Fujifilm Inkjet Technology brand, has been combined to give label printers the best possible quality and flexibility for high quality label customization. Each imprinting bar has eight or 10 printheads – to match press widths of 13 or 17 inches – that are accurately aligned and balanced so that the printed result is consistent for every one of the thousands of nozzles. Printing of 1200 or 600 DPI at up to 90 meters per minute is achievable with full scalability and excellent ROI. The ability to run in-line with flexo stations in pre-analog and post-analog configurations is also a feature, as well as off-line printing on converting equipment. Capable of process resolutions of 300, 600, or 1200 DPI.